2019: What pattern cues do host birds use to reject parasitic eggs? Read our new paper in Philosophical Transactions of the Royal Society. 2019: New synthesis article on animal coloration patterns and spatial vision is out now in American Naturalist. 2018: Check out our new study about the dynamics and perception of a spectacular hummingbird courtship dive, out now in Nature Communications. 2018: Our new paper investigating how animals perceive experimental stimuli is out now in Interface Focus. 2018: Stoddard is very honored to be named a 2018 Packard Fellow. 2018: Klara Norden joins the lab as a PhD student. Welcome! 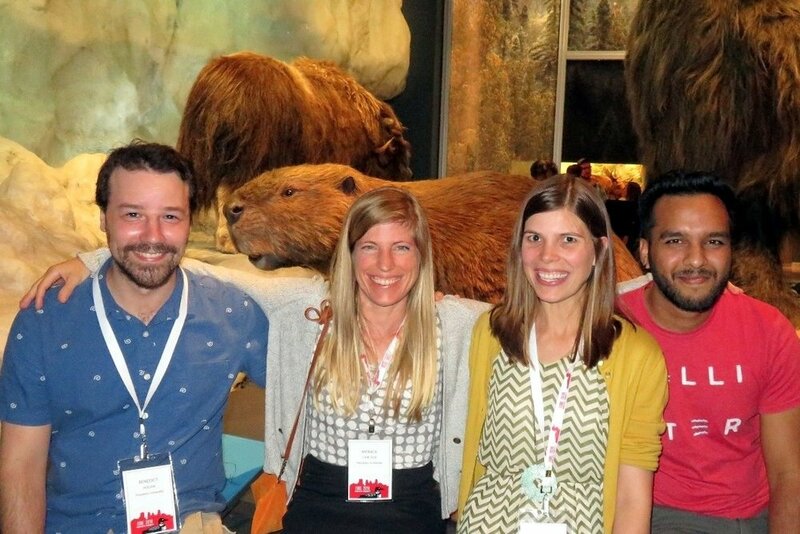 2018: The Stoddard Lab attends the International Society for Behavioural Ecology conference in Minneapolis, and the Evolution in Philadelphia Conference (EPIC). Excellent talks by Ben, Monica, Jarome and Audrey! 2018: The Stoddard Lab conducts hummingbird fieldwork at the Rocky Mountain Biological Laboratory in Gothic, Colorado. 2018: Watch Stoddard on Attenborough's Wonder of Eggs, which just aired on the BBC in the UK. Out on PBS in the US Fall 2018. 2018: Stoddard named a 2018 Sloan Research Fellow. 2018: The Stoddard Lab enjoys springtime weather in Princeton. 2018: Derya Akkaynak joins the lab. Welcome! 2018: Science's egg infographic is nominated for a Webby! 2017: Jarome Ali and Monica Carlson join the Stoddard Lab as PhD students. Welcome! 2017: Our research article, Avian egg shape: Form, function and evolution, is out in Science. Check out the infographic. Birds lay eggs in a diverse array of colors, patterns, sizes, and shapes, as seen in this assortment from the Western Foundation of Vertebrate Zoology collection. 2017: Our theme issue, Animal Coloration: production, perception, function and application, is out in Philosophical Transactions of the Royal Society B. 2017: Audrey Miller and Ben Hogan join the lab. Welcome! 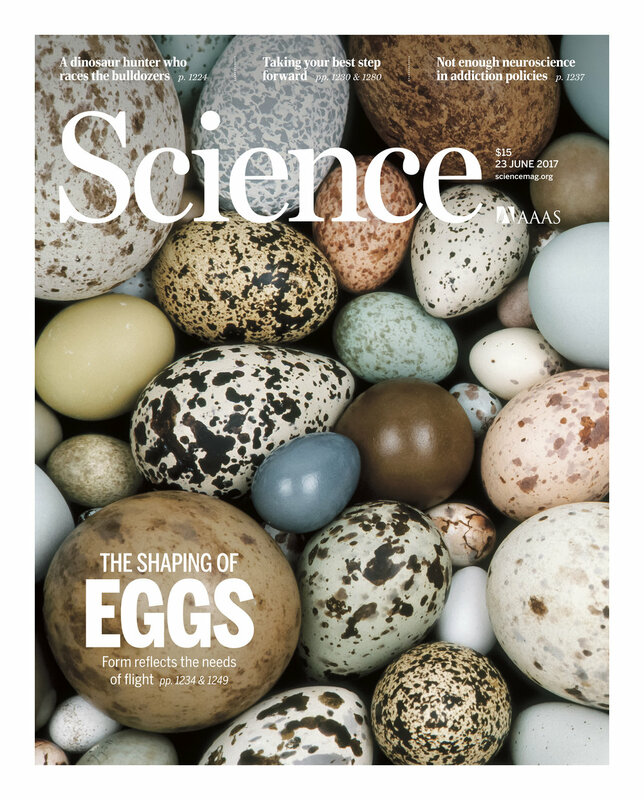 2016: New popular media article out in Physics World featuring our work on cuckoo egg mimicry. 2016: A video about our egg recognition research is on display (through January 2017) at the American Museum of Natural History's Dinosaurs Among Us exhibit in New York City. 2016: Our new paper on egg camouflage in plovers and terns is out! Contact us to use our EdgeDetector computer code, which quantifies aspects of camouflage using edge detection algorithms. 2016: Stoddard awarded the Ned K. Johnson Young Investigator Award by the American Ornithologists' Union. 2016: Stoddard awarded the Dobzhansky Prize by the Society for the Study of Evolution. She delivered the Dobzhansky Prize Lecture at the SSE meeting in Austin, Texas.